Detroit City Skateboards Co. — Wakeen Design Co. In 2001, two brothers opened Detroit City Skateboards on a dream and maxed out credit cards. 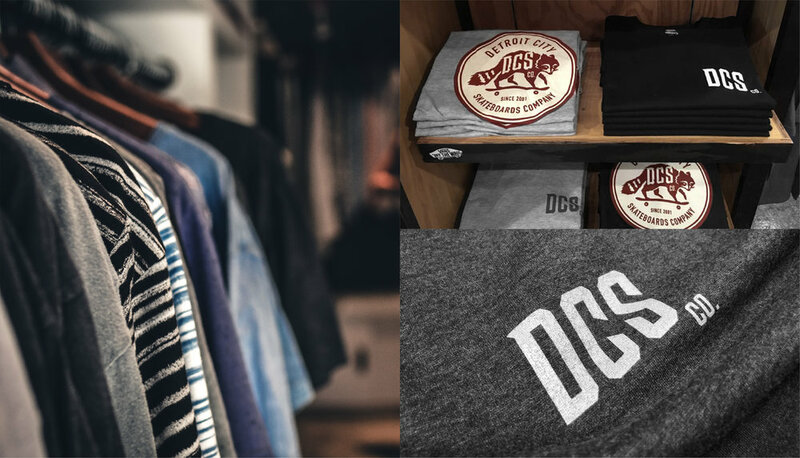 Fourteen years later, DCS has two storefront locations in Michigan, an online store, and has become the premier skate shop for Detroit. They work hard to provide the best skateboard products and service to their customers at the lowest prices possible. Upon moving to the new locations, they wanted to rebrand themselves and start fresh. We collaborated with them on a handful of great ideas, and ultimately came up with a new logo lockup, the 'trash panda' mascot, and merchandising that has become a fan favorite. Check out their shop's in Ferndale and Clarkston, Michigan.